A good pair shorts is essential whether training or in the arena. The best MMA shorts provide durability, quality of manufacturing as well as performance features. The ideal MMA shorts should be suited to your sense of personal style, often matching your gloves and / or wraps. They should also be durable enough to last you at least a year of use. MMA shorts are composed of material that is rather similar to board shorts, however this material is of higher quality and is thus longer lasting. The majority of shorts will have a stretch quality to the fabric. This allows for better kicking ability. Another great feature that makes MMA shorts a must-have is the special attention devoted to the crotch area, allowing for full extension of your legs. Good MMA shorts also do not have exterior pockets, nor any other form of external hindrance. 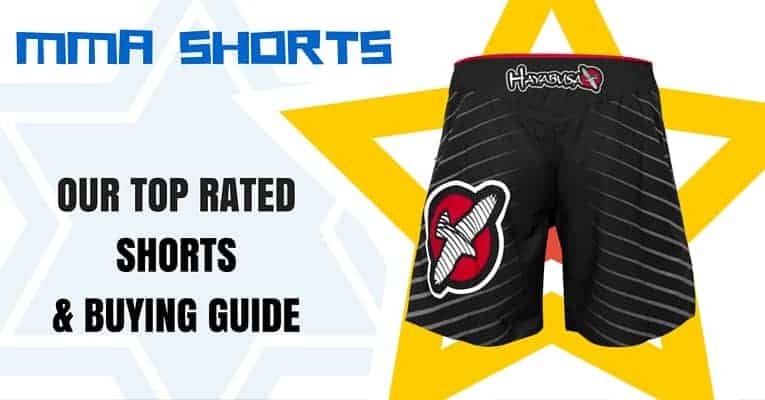 MMA shorts can boost your performance in or out the ring and with the variety of shorts available there is no reason to settle for anything short of the perfect fit in all regards! Performance, quality, durability and aesthetics should all match your expectations! When stepping into the ring or arena the last trouble you want is hiccups that are equipment related. MMA fight shorts need to grant you full mobility with nothing getting in the way. The material should stretch and the waist must be form fitting. Some of the top brands hold patented technologies that increase performance in the ring, minimizing weight and effectively increasing your striking power with kicks and knees. Anti-perspiration advancements are also found integrated into many outstanding pairs of MMA shorts. This is a great feature that you should be on the lookout for when shopping for a new set of shorts. The Jaco Resurgence Fight shorts make an excellent choice for any fighting, exhibiting some of the most technical advancements available. The perfect set of shorts for any MMA fight, these shorts have a clean, clear, stylish black veneer and are comprised of an ultra-durable fabric. Jaco’s patented fabric, termed STR-X™, is extremely comfortable to the touch, offers high breathability and moisture wicking capabilities, as well as featuring a four way stretch ability. The waist-adjustment and securement component of these fight shorts is fantastic, the compression works extremely well and they fit comfortably without slipping around. An internal pocket, positioned at the bottom of the shorts, makes a convenient location for your mouth guard without needing to untie your shorts at all! Excelling in all regards, The Jaco Resurgence Fight Shorts should definitely be considered as an affordable option suited to all fighters. Patent-pending compression waist-tightening system that can be tightened without creating "scrunching or cinching" around the waist while providing a comfortable, no-slip fit. This system provides a compression style fit internally to the garment that allows the external look of the product to remain unchanged. 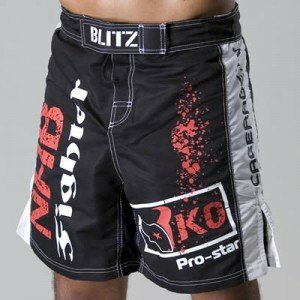 These outstanding fight shorts hold many claims to fame! Hayabusa has used a revolutionary technique termed Ultrasonic Weld3™ Technology. This makes use of a sonic welding system to bond layers of material together. The result is the Hayabusa Weld3 Fight Shorts, the only pair of fight shorts in production using this breakthrough upgrade of thermal bonding. These shorts are tough! They can take a beating and keep looking great. They fit your form perfectly with no abrasive qualities whatsoever. Hayabusa claims that they are indestructible! The quality is certainly outstanding and they are very, very comfortable. 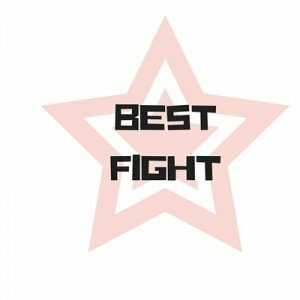 A great choice for any fighter that can fit it into his budget! The Venum Galactic Fight Shorts grant extreme ease of movement, great durability and heat regulation features (to reduce sweat). These great fight shorts are made from microfiber fabric and are extremely light. This reduction in weight results in no loss of durability. The Galactic has later splits, which are well reinforced. The Logos are also fully sublimated, it will be ages before they loss their shine! Venum partnered with many professional UFC athletes to develop these fight shorts and this resulted in a pair of shorts that holds many features, all of which are topped by one. Comfort! The Venum Galactic Fight Shorts feel great, look great and every last integrated feature works. They are an outstanding option! Another great offering from Venum, the Venum Light 2.0 boasts one of the lightest designs around. Their focus was on mobility and these shorts deliver! The stitching is triple stitched and the fabric, although light, is very durable. The legs offer some room even though overall the shorts are form fitting. They never slip, moisture build-up is minimal to none. 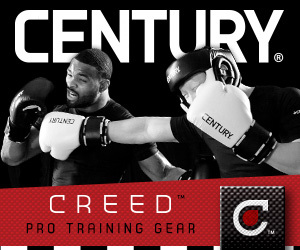 The Velcro strap and tie-down is extremely well designed and is perfectly suited to MMA. Usable by women as well, Venum Light 2.0 fight shorts are great to train or fight in. Venum excels again with this top choice of MMA fight shorts. This new offering from Tigon is perhaps one of the best MMA fight shorts in production. Extreme style is exhibited, as is the quality of craftsmanship. There is lateral split seams and a specially designed crotch area. This allows for full range when performing high kicks and uninhibited mobility throughout the ring. Flex panels are integrated that have highly enhanced stretch capabilities. There is also a unique gel inner grip waistband mechanism, using Velcro fasteners, which stay secure no matter what! The Tigon Pro Gel Fight Shorts suit MMA perfectly but look good enough and are practical enough to be worn almost anywhere! MMA shorts for the female martial artist carry the same prerequisites as their male counterpart. Durability, quality, full flexibility and integrated safety, form fitment and anti-sweat features should all be held. Comfort is also a top concern, there is no use to a pair of shorts that stand out in all other regards but are a pain to wear. When looking at the options available for women style is another make-or-break factor. Every woman wants to look good when competing! Long and short varieties of women’s MMA shorts are at your disposal, just ensure that the fit is perfect in all regards. Hayabusa sports an extensive range of top class mixed martial arts equipment, with a large portion of their range devoted to the female fighter. The Hayabusa Kasumi-S is one of the lightest, toughest, most intelligently designed pairs of fight shorts for women available. The uniquely engineered Flyweight Fabric is tough enough for many good sessions, whether at practice or in a fight. The Kasumi-S also boasts mid-thigh architecture suited specifically to females, granting complete freedom of mobility and unhindered dexterity. The low profile fit guarantees comfort and the shorts look fantastic. One should take care to order one size smaller than you currently wear. The Hayabusa Kasumi-S run one size larger than stated, but order on smaller and you have a perfect fit! The Hayabusa Flex stands out as great option from the get go. No frills, no extras, just the smart design features that you need. There is no exterior baggage to slow you down or get in the way, no loops, clasps or anything of the sort. There is not even any Velcro! Say goodbye to abrasions! The fabric offers a very versatile and extremely stretchy quality. It moves with you no matter the exhibition of agility. They fit comfortably across all sizes and the composition is very sturdy. A lighter pair of fight shorts will be hard to find. The cut, comfort and overall style are suited to almost any female fighter, regardless how demanding! These high cut Muay Thai shorts are very comfortable and leave your movement totally unrestricted. The high and wide cut will leave most wearing compression pants underneath, however these shorts fit and work exactly as Muay Thai shorts should! 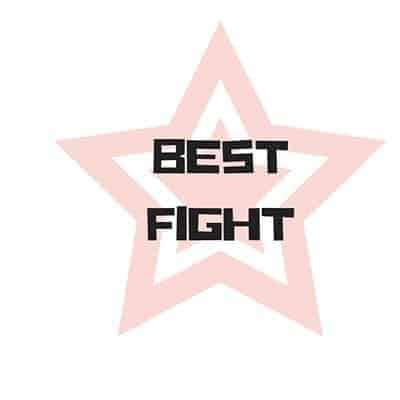 They are fantastic for mixed martial arts and a great choice for the female fighter. Although durable enough to withstand more than a few fights, these shorts are targeted at those looking for a cheaper option. Highly affordable, well designed and a match to the needs of most mixed martial artists, Revgear Muay Thai Shorts give a balance of quality and affordability. The Revgear Deluxe Muay Thai Shorts are an upgrade on their predecessor but remain a highly affordable option. The range of colours available is a great bonus, and the lettering is lost lasting (it is not embroidered!). The waist is tight fitting and the cut works well, granting full range of motion throughout all of your kicks. Yet another great feature is the overall look, they look like you mean business! The fabric is very durable, these shorts are long lasting and do not lose their overall pleasing aesthetics. The quality and functionality of these mixed martial arts shorts for women is unbelievable at the price. They scream fight night! Fairtex integrated extra wide legroom for enhanced freedom of movement and the mobility granted by the Fairtex Blue Tribal Muay Thai shorts is fantastic. Comfort is taken to a high level in all aspects, from the elastic waist with drawstring to the enhanced legroom cut. The satin used feels great on the skin and these shorts are very light as a result of this. The tribal design looks fantastic and the designs are long lasting. These shorts carry an authentic feel and are a great choice for any female mixed martial artist. Fairtex can comfortably boast these as a great addition to their line of martial arts gear for women. Compression shorts featuring an integrated cup are a great way to protect those sensitive zones. Fighting sport always comes with the risk of injury and these shorts ensure that you are protected where you really need it! The addition of a cup also adds an extra factor to comfort and fitment concerns. Form hugging, these shorts usually offer vents and the material (often polyester or spandex) is stretchy enough to allow full mobility. Whatever the material used it should be breathable as to deter odours and sweat build-up. You will often find that the edge of the cup is padded for comfort and to assist conforming to the contours of your body. Take a look below for the Top 5 Compression Shorts with cup that we recommend. The Hayabusa Recast series is a specifically engineered set of gear that provides unparalled precision of fitment, comfort of fit and freedom from restriction. These compression shorts draw moisture away from you skin, keeping you try and therefore helping you to maintain a healthy, optimal body temperature. An ultra-tensile fabric is used by Hayabusa to craft these outstanding compression shorts. Their fabric is resistant to any form of cuts or abrasions, as well as bacteria resulted in rash. There is an embedded inner pocket that is used to house your cup. The cup unfortunately has to be bought separately but is also an outstanding piece of sports engineering. The Hayabusa ExoForged Armored Cup is the match to these Recast compression shorts, and the protection offered through advanced engineering is well worth the expenditure. The Hayabusa Recast Compression Shorts, in combination with the ExoForged Armored Cup, is a great enhancement to any enduring athlete. The Diamond MMA Compression Shorts and Cup with Built in 4 Strap Jock is a great set that should be recommended to any serious martial artist. Care has been taken to ensure comfort and form fitment. The stabilization straps are a great feature and always hold the cup comfortably in place. There is no restriction of movement at all. The design and form of these compression shorts is utterly amazing and they are outstanding in every regard. It is no wonder that they were recommended publicly by Joe Rogan! Customer service at Diamond is reported to be fantastic, another accolade to go along with the many stellar features of their compression shorts. There is no moisture build-up, their fabric handles that very well. In actual fact these Diamond MMA Compression Shorts handles everything very well and are a great choice for any martial artist or other contact-sport athlete. Please Note: Stitching on compression shorts may vary. Old-style shorts have blue-contrast stitching whereas new-style shorts have black stitching. These RDX compression shorts are a brilliant piece of engineering suited to professional mixed martial arts. Thermal regulation features ensure that your muscles remain warm enough to be in their optimal state, whilst moisture is drawn away from the skin, preventing sweat. This is combination with functional motion control technology helps to reduce injuries and eliminates pain experienced after exercise. These compression shorts help to focus the direction of the muscle which in turn releases tension. Pelvic compression is great, always ensuring that the comfortable, ergonomically designed cup is help in place. The cup has a gel-tech grip which helps to reduce impact by absorbing the shock. A better fit than these is seldom found making these a serious consideration for the serious mixed martial artist. These UFC Compression Shorts with Cup are perfect for use in the ring or arena. They are crafted from a blend of polyester and spandex that is extremely flexible. The vented inner and outer leg panels ensure that you will remain cool, airflow is unrestricted. The cup and pocket are vented with the UFC cup featuring contouring TPU rubber cushioning. This also allows the cup to fit comfortable and move with your body. The compression technology is very functional, keeping everything in place no matter the exercise. The UFC Compression Shorts with Cup are an affordable and durable pair of well-designed compression shorts suited to anyone on a budget. Shock Doctor brings many patented features to this high quality compression shorts with cup. The cup itself is a vented shape that is specifically designed to allow maximum airflow. The X-Pocket Cup Retention System holds the BioFlex cup in a more natural position between your legs, allowing for a closer more comfortable fit. The four way stretch fabric provides high levels of compression and is anti-microbial. It follows the form of your body perfectly and never restricts in any way. It is also moisture wicking, ensuring that you always stay dry. The Shock Doctor Men’s Power Compression Shorts with BioFlex Cup are of extremely high quality, satisfying in all regards. Blows to the crotch area are absorbed by the integrated gel perimeter padding of the Bio-Flex Cup and all other features also excel! MMA shorts are certainly as varied as the mixed martial arts sport itself! As interest rapidly grows more and more manufacturers are turning out MMA shorts suited to all tastes. A good quality pair of shorts are essential for any MMA athlete, both in training or in the ring. By making certain that you have purchased a good quality pair of fighting shorts you can save yourself injury, rush and a lot of discomfort. MMA shorts should always provide you full mobility, there should be no restriction of movement whatsoever. By being aware of a few key factors you can ensure yourself a purchase worthy of the expenditure. Ensure that your choice of shorts has no exterior pockets, no clasps or clips. There should be nothing that can hinder you through either weighing you down or injury. Interior pockets should never be felt within the shorts, you should have no obtrusions at all. Simple designs that are ergonomically engineered and fitting to your form generally make the best choice. Embroidery is a no-go as it gets worn quickly, turning your shorts into an eyesore. The width of the leg and cut of the pants are both very important factors. The legs of your shorts should always fall above the knee. Recently fighters have been seen in longer forms of shorts, however for the least amount of restriction the sides of your shorts should be slit and the length should leave them falling just above your knee. Your pants leg should be wide enough to be comfortable, yet not carry excessive padding or weight of any form. There are many lightweight MMA fight shorts at your disposal, use them! Don’t opt for any pair that isn’t both lightweight and durable. Many MMA shorts either make provision for, or already include, a cup. This is a must have for any male athlete and many intelligent design forms leave you protected comfortably. Shock resistant cups are on offer from many reputable manufacturers and these cups can help greatly to protect you from harm in the case of an accident. Other features to be on the lookout for is anti-microbial fibre, preventing sweat and odour build-up, and thermal regulation. Thermal regulation functionality is built into many shorts and compression shorts, maintaining dryness of skin whilst keeping your muscles at the exact right temperature needed to provide the best performance. Your choice of MMA shorts should excel in all regards, with the options at your disposal there is no need to sacrifice performance, comfort and protection! thumbs-up for that good info you’ve here with this article.